One of the best parts about a good a vacation is the diversion of decadent dining and sumptuous snacks. That the opportunity to enjoy these delicious delights is not a common everyday occurrence makes them all the more desirable. There is a danger, though in craving these culinary creations: extinction! 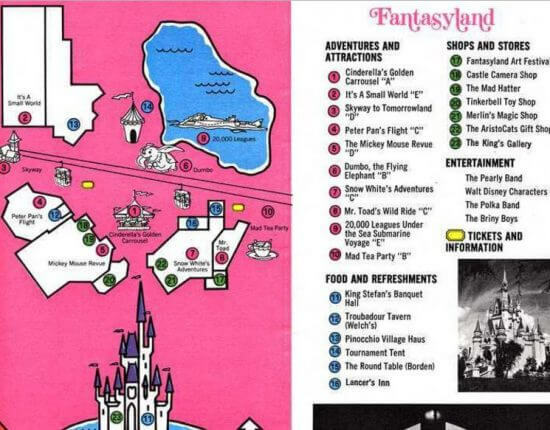 As Walt Disney World (FL) is one of the most popular vacation destinations in the world, I’d like to share a tummy grumbling list of lost loves from the favored food arena – 5 favorite fun foods formerly severed from the tables and kiosks around happiest place on earth. I can remember the cool sweet taste of Welches grape juice enjoyed during childhood visits to the Magic Kingdom. I think, aside from the thirst quenching quality of the beverage, the bunch of grapes shapes of these drinks was the real appeal for my younger eyes. 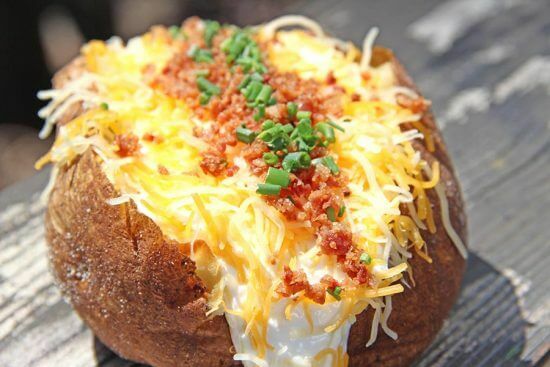 With toppings, these oversized spuds were a perfect hunger halt. Found at the Liberty Square Market, these baked super starch snacks were sere easily enjoyed before, or after, visiting 999 fiends at the Haunted Mansion. The quick service super stand still serves snacks, but now features frankfurters for famished families instead. 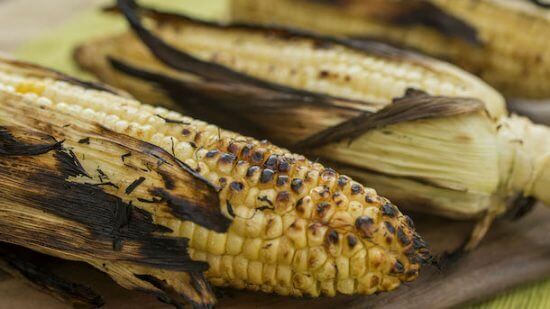 Another savory snack formerly found at the above referenced Liberty Square Market, grilled corn on the cob curbed cravings for culinary creations long enough to manage the must make mecca to the Haunted Mansion before heading for a full feast. When the new Fantasyland expansion arrived at Walt Disney World, so did Gaston’s Tavern. 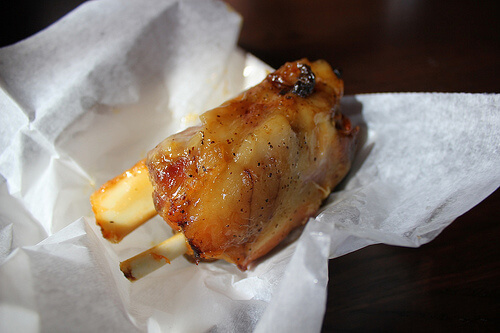 Among the gooey baked delight a LeFou’s brew was a monstrous meat miracle: the Pork Shank. Sadly, this hunger satisfying super-sized mini-meal is no longer available. 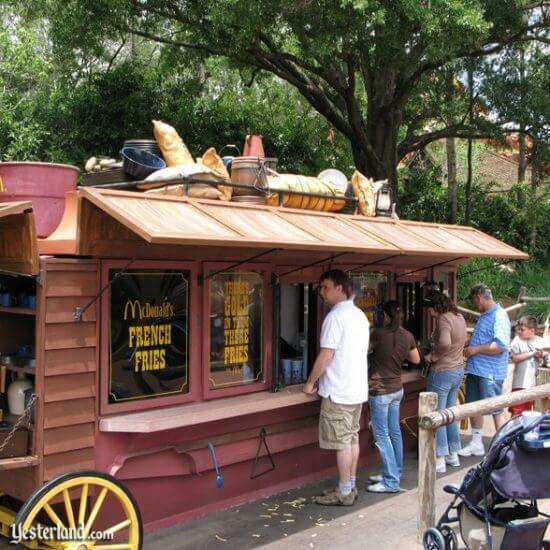 Found in Frontierland and Fantasyland, fries from McDonalds were a perfect potato-y plan to prevent a peckish persistence from growing to hunger pains. 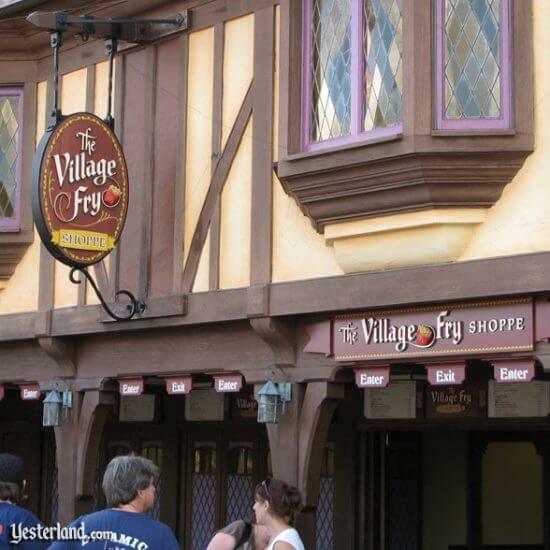 However the infamous fried favorite is not a part of Disney theme parks any longer. The closest authentic appearance of these salty sensations is the McDonald’s restaurant near Blizzard Beach. Focusing on 5 favored foods forever lost from the Magic Kingdom might make for sad snacking, but fortunately the park has multitude of other options (churros, turkey legs, candied almonds and more) for dining delights. Unfortunately writing this article, for some reason, finds me famished, I’m off to the fridge to feast. . .
What are your favorite snacks at the Magic Kingdom? Which long lost guilty gastronomic pleasure do you miss the most? Share your savory story in the comments below. The alliteration in this article gives me life.